Elder law is a legal term that describes the legal practice area that places an emphasis on issues that affect the growing aging population. What are the areas of Elder Law? There are three major categories to elder law: estate and trust planning and administration; Medicaid, disability, and long-term care issues; and guardianship, conservatorship, and fiduciary administration. Described below, developing a plan with thought and vigilant attention to the law, the three categories make the crucial difference of preserving the personal and financial well being of elderly clients. Interpreting the trust document. While reading a trust document is not inherently difficult. certain information within the trust is significant and should be interpreted by a person who understand the laws and can analyze the document for both its personal and legal denotations. Additionally, in order to determine the true intent of the trust, it is important to hire a non-bias trust interpreter who doesn’t pose any conflicts of interest. Preparing an inventory of the entities being exchanged. The trust planner is required to prepare and file an inventory and a list of claims after the representative is approved by the court. Preparing periodic accountings for the beneficiaries. Time passes. People change, as do relationships. It’s important to update your trust so that it actively reflects your wishes by regularly reviewing all your beneficiary designations and amending any that are out-of-date. Preparing settlement of creditor claims. It is the fiduciary’s duty to determine when bills unpaid at death, and expenses incurred in the administration of the estate, should be paid, and then pay them or notify creditors of temporary delay. If the estate has enough money to pay all known creditors or anticipated creditors, the personal representative may pay the creditor claims are they come forward. Otherwise, development of a financial plan to fulfill the settlement becomes necessary. Responding to beneficiary inquiries. These inquiries may include, may these receive a copy of the trust instrument, any restatements or amendments; request a copy of the annual trust report; and more. Assisting with the proper liquidation and distribution of trust assets. It is the fiduciary’s responsibility to take control of all assets comprising an estate or trust, with prerequisites to doing so being: obtaining formal authorization from the court and producing a death certificate. Other assets, such as insurance, may have to be applied for by filing a claim. Preparing all associated tax returns, including final Personal Income Tax Returns, Fiduciary Income Tax Returns (for Estates & Trusts), Estate Tax Returns, and Gift Tax Returns. Most jurisdictions require that the trustee keep a detailed accounting of the trust, so hiring knowledgeable administration is crucial to protecting your assets both in life and beyond. Medicaid, disability, and long-term care issues. Medicaid plays a critical role for people with long-term care needs, and remains the single largest source of financing for long-term care in the United States. Medicaid’s long-term care services are a critical source of support for millions of poor and low income people. Their long-term care services refers to the amenities and support that people need when their ability to care for themselves has been reduced by a chronic illness or disability, and–as private insurance plays only a small role in long-term care financing–it is crucial to understand how the Medicaid federal-state program will supplement one’s finances. Particularly, people who need long-term care must ensure that they meet categorical, financial, and functional eligibility criteria to receive Medicaid-funded long-term care services. Guardianship, conservatorship, and fiduciary administration. If an adult becomes incapable of making responsible decisions due to a mental disability, the court will appoint a substitute decision maker, often called a “guardian” or, occasionally, “conservator”. Guardianship describes the legal relationship between a competent adult (the “guardian”) and a party (the “ward”) releasing their end-of-life affairs into the responsibility of the guardian. 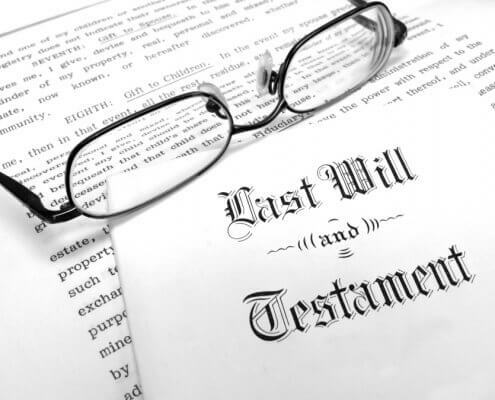 Depending on the particular situation, the guardian, conservator, or fiduciary, deals with the potential problems and the administration of the decedents’ estates and of noncommercial trusts, probate procedure, powers of the fiduciary, compensation of fiduciaries, and their attorneys. All three roles can prove uniquely complicated, especially when elder law, estate planning and trust administration matters are involved. Elder abuse. This includes assault, battery, and inappropriate restraint on any elderly person. Nursing home abuse is a common form of elder abuse. Elder neglect. This describes the scenario when a caregiver does not provide for an elder’s safety, or for his or her physical and/or psychological needs. Fraud against elders and consumer protection. Consumer fraud is defined as any instance in which an individual suffers a financial or personal loss because of illegitimate or misleading business practices. In 2013 alone, the Federal Trade Commission’s Consumer Sentinel Network database–which collects consumer complaints and makes them available to law enforcement–contained 123,757 fraud complaints from victims who had identified themselves as aged 60 and over. Age discrimination. The Age Discrimination Act of 1975 implemented the prohibition of discrimination on the basis of age in HHS (Human Health Services)-funded programs and activities. Under its commonly used name, the Age Act, recipients may not exclude, deny, or limit services to, or otherwise discriminate against, persons on the basis of age. The Age Discrimination in Employment Act prohibits employment discrimination against anyone at least 40 years of age in the United States. Elders fall under the scope and protection of the ADEA. Discrimination in hiring, promotions, wages, termination, and layoffs. Statements of age preference and limitations in job notices and advertisements. An employer may reduce benefits based on age only if the cost of providing the reduced benefits to older workers is the same as the cost of providing full benefits to younger workers. There is also prohibition of mandatory retirement in most sectors (thought it is permitted for executives over age 65 in high policy-making positions that are entitled to a pension over a minimum yearly amount), as well as elimination of mandatory retirement for tenured workers. 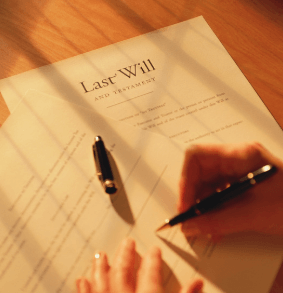 If you have been appointed as an executor of a family member’s will, a trustee to a loved one’s trust or as an agent in a power of attorney, you may not be aware of the duties and risks of your role. While you may be able to make your way through the complicated procedures required of your role on your own, an experienced attorney can help. Elder law can be a complex topic because many of us don’t pay attention to it until we’re older. If you or someone that you know is in need of counseling because of an elder law issue, you should not hesitate to contact an attorney that has experience in the practice of elder law. Sadly, up to 5 million older Americans are abused every year, and the annual loss by victims of financial abuse is estimated to be at least $2.6 billion. Contact a lawyer to get the help that you need. https://cdn.askthelawyers.com/wp-content/uploads/2018/04/28091011/LastWillandTestament.jpg 675 900 AskTheLawyers™ https://cdn.askthelawyers.com/wp-content/uploads/2018/05/28085239/Asset-2-300x40.png AskTheLawyers™2018-12-31 15:44:592019-01-04 12:28:20What Are My Duties as an Executor of a Will?